The Gurkha Kukuris is a Nepalese knife which is inwardly curved edge and used as both a knife and weapon in Nepal. Many other south Asian countries also use Khukuris. This is traditionally used previously and still is used in many cases. The Nepalese are consider as perfect to use these Khukuris. Gurkhas are recruited from Nepal to UK army as they are bought up in hills and so considered as best for light infantry where they have to fight on hilly areas. For many gurkhas service in UK army is a tradition.Any gurkha soldier always keep Gurkha Khukuris with him. The kukri is a famed knife carried by a gurkha.It is the national weapon of Nepal. 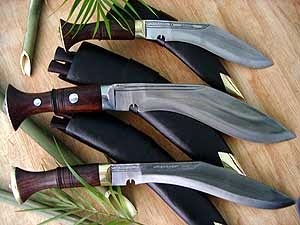 Every gurkha has at least two kukri, one for traditional and ceremonial purpose and other one is for daily routine work. Sharpening kukri is in their daily routine work. In UK there is a Gurkha regiment in which the soldiers are from Nepal. A Gurkha soldier from Nepal is a Hindu or Buddhist. Now a day’s joining UK army requires high qualification and Nepalese which are joining UK army are qualified and having good command on English and rest training and polishing is done during their training period. 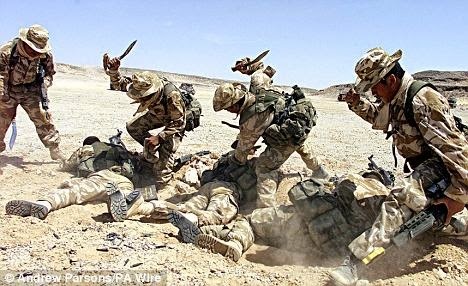 A Gurkha regiment in the UK army plays a very crucial role, particularly in Afghanistan; it is the ability of the soldier to understand cultural nuances and to support people of conflict zone. Always unforgiving during battle field, Gurkha soldiers are equally generous and warm hearted to those people in conflict zones. A major demand of Gurkha khukuris in UK is for army purpose and after that people of UK are very much interested in keeping them as collectible at their homes. Now let’s know about how to use khukuri and precautions while using it. How to Handle a Kukri?? A basic position to hold a kukri is where the thumb is stays straight forward on the top index finger and closed tight fist grip around the handle. This position is recommended as the best position to hold kukuri during battle. A kukuri is a sharp knife so always handle it with care and respect. Take time to learn how to handle/use a khukuri. Griping a kukri is very important and should be done in right manner. A loose grip can cause the kukri to slip and cause serious injury. Always hold the kukri from handle side and you should choose a right kukri for the type of task you want to perform. These are some of the precautions you should always keep in your mind. Lastly I just want to say always go slow with kukri no need to be hurry.